The announcement was made on @NGRPresident, the verified Twitter handle of presidency. 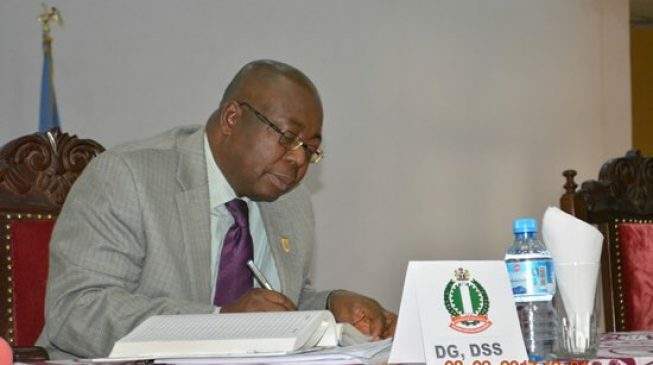 TheCable had earlier reported that Seiyefa was being considered for the position. Acting President Yemi Osinbajo had ordered the sack of Lawal Daura, former director-general of the secret police, and directed him to hand over to the most senior officer in the agency. Seiyefa arrived at the presidential villa in Abuja around 4pm on Tuesday. Seiyefa was the director, Institute of Security Studies, Abuja. With about 34 years of experience, Seiyefa has served in different capacities, including the state director in Osun, Akwa Ibom, and Lagos states.